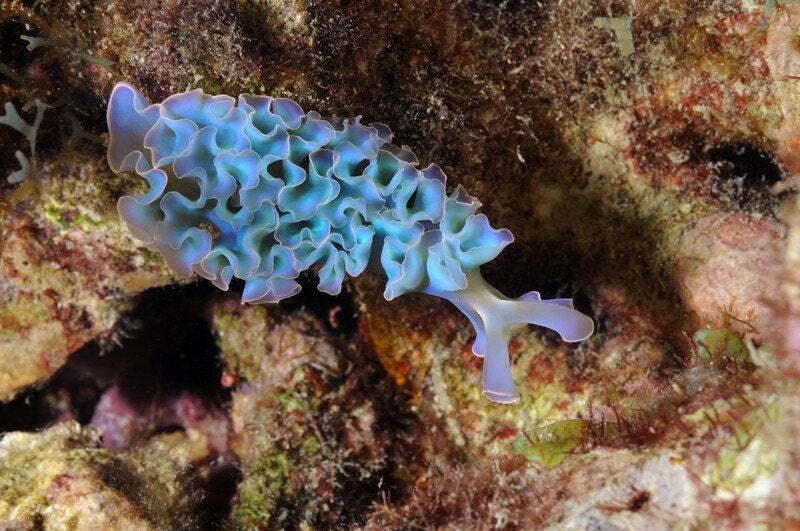 This is a lovely blue color variation of a Lettuce nudibranch (Elysia crispata). 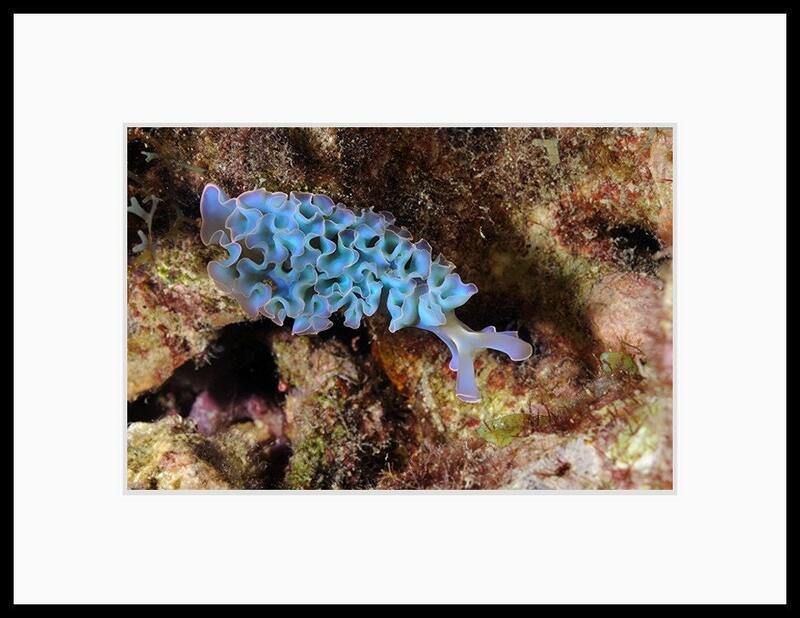 Also called a lettuce sea slug, I photographed this specimen while scuba diving off of the island of Curacao in the Caribbean. awesome photograph. What wonders there are under the sea!